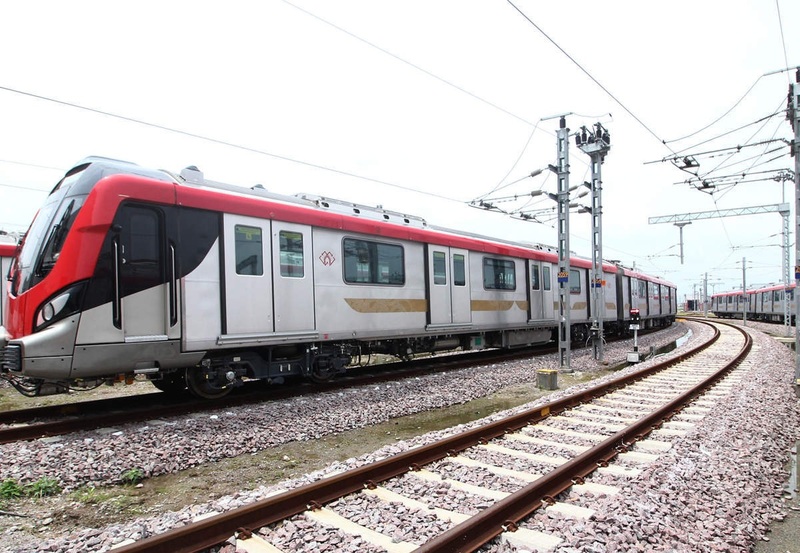 New Delhi, Metro Rail News: As Metro rail systems Expanding across India, the Ministry of Housing and Urban Affairs (MoHUA) has turned its focus to improving last mile connectivity, one of the objectives articulated in the 2017 national metro policy. The ministry has started focusing on feeder bus services, electric rickshaws, smart cycles (that can be rented out), electric scooter services, and partnerships with cab aggregators for providing hassle-free last mile connectivity to passenger. As per the national metro policy 2017, the objective is to ensure that the lowest cost mass transit mode is selected for public transport. Each states must make the metro self-sustaining, enhance other kinds of mass rapid transport systems, such as monorails or buses, and provide last mile connectivity, between the metro station and the commuters’ destinations. The Union government has already drafted a last-mile connectivity plan for 10 metros in cities such as Delhi, Bangalore and Kochi. The national metro policy had also aims to enhance metro rail revenues through a feeder system. “Every proposal for metro rail should necessarily include proposals for feeder systems that help to enlarge the catchment area of each metro station at least to 5 km. Last-mile connectivity through pedestrian pathways, Non-Motorised Transport (NMT) infrastructure, and induction of facilities for para transit modes will be essential requirements for availing any central assistance for the proposed metro rail projects,” the policy noted. Around 329 feeder bus services have been made operational by the Centre already. This includes an ambitious plan for Delhi and the National Capital Region, served by Delhi Metro Rail Corporation (DMRC). “With the objective of strengthening feeder bus services with defined service quality parameters, DMRC is in the process of inducting (through open e-tenders) 427 buses (MIDI size battery operated/CNG air-conditioned buses) on 48 routes on cluster model. However, approval of Government of National Capital Territory of Delhi (GNCTD) on sustaining the project by way of viability gap funding is awaited,” a ministry official said on condition of anonymity. The Centre is also working on a pilot project involving cab aggregators which have been alloted space on rent at metro stations to set up kiosks where cabs can be booked. According to the official “Process of allotment of bare spaces to the cab aggregators at all the metro stations is also underway for which the DMRC has already floated a tender,”. The policy also mandates an analysis of alternatives, requiring evaluation of other modes of mass transit such as Bus Rapid Transit System (BRTS), light rail transit, tramways, metro rail and regional rail in terms of demand, capacity, cost and ease of implementation. According to officials “The alignment of metros such as Ahmedabad metro rail project phase-I is such that it integrates with BRTS, Indian Railways, and the city bus service at various strategic locations in both East West and North-South Corridors for seamless connectivity. Future transit systems such as the Mumbai–Ahmedabad high-speed bullet train will also integrate with phase-I at two locations,”. Metro connectivity with BRTS at Ahmedabad is provided at nine stations currently. The Centre is also working towards integrating electric vehicle transportation. A pilot is being undertaken by DMRC in five metro stations; in Chennai it is already operational in two stations; and it is also operational in Hyderabad, according to the ministry. Another aspect of non-motorised transport includes cycle sharing services which are currently operational in metros across eight cities. “Last mile connectivity is very important especially in cities such as Delhi because of its circular structure. Another very important reason for having connectivity is safety especially for women,” said KT Ravindran, professor and head of urban design at the School of Planning and Architecture of New Delhi. According to the urban ministry , over 326 km of metro lines — part of what is known as Mass Rapid Transport System that aims to provide urban commuters an alternative to private transportation — have been made operational in the last five years and 373 km are in the pipeline. According to former DMRC chairman Elattuvalappil Sreedharan the country must have the vision to introduce metro trains in more than two million cities and light metros in around one million cities within the next 10 years. “This would need metros to be built at the rate of at least 200 km per year,” he said.